Progress on a floating dock at the Historic Bridge Street Pier in Bradenton Beach has resumed, with some unexpected costs assumed by the city. 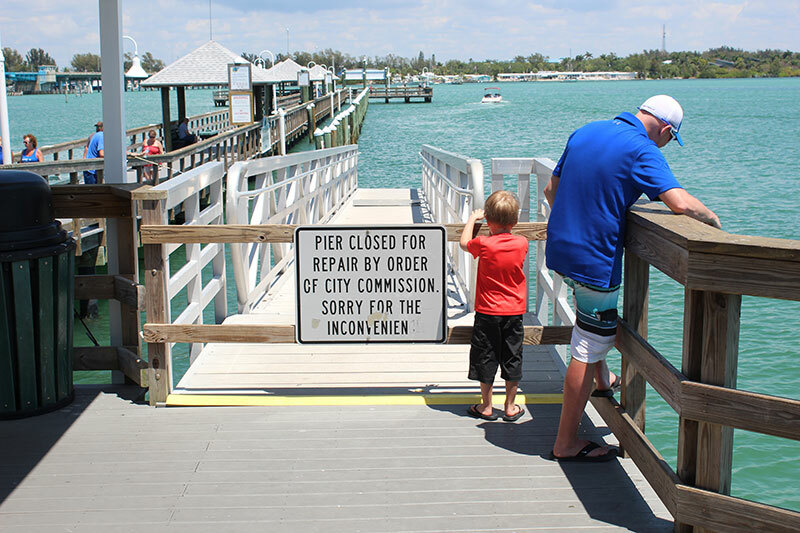 Bradenton Beach Community Redevelopment Agency members voted 6-0 April 10 to approve Hecker Construction’s $105,754 proposal to complete the remaining work on the dock, including the assembly of floats, delivery to the city and installation at the pier. The approved motion set a June 5 deadline for Hecker to complete the project, with a $500 daily penalty for delays. Hecker also must request CRA approval to extend the deadline. 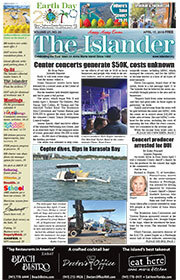 The CRA district is bordered by Cortez Road, Sarasota Bay, Fifth Street South and the Gulf of Mexico. The area was deemed blighted in 1992, leading to the creation of the CRA and the use of incremental tax revenue from Manatee County to promote restoration, growth and tourism. Hecker’s proposal specifies the use of 25 composite pilings, which — in addition to dock rollers — CRA members agreed to purchase to eliminate the sales tax expense. 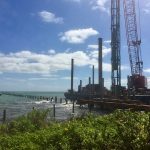 Technomarine, the company originally contracted to build and install the dock, planned to use seven concrete pilings, but Hecker — a Gibsonton-based marine contractor subcontracted by Technomarine — submitted engineering plans to the city in March that included a change to the pilings. CRA members were concerned April 3 the new plans were over-engineered and tasked Bradenton Beach Police Chief Sam Speciale to consult with Steve Porter, general manager of Duncan Seawall, the contractor for the pier and restaurant, for his opinion on Hecker’s engineering. Speciale — the pier team manager and lead contact for the floating dock — said Porter told him Hecker’s engineering and proposal were reasonable, and that Hecker’s proposal almost matched Duncan’s estimate for the same work. 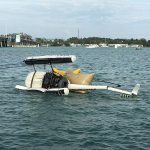 Eric Shaffer, operations manager for Hecker, attended the meeting and said the price difference, estimated by the city at about $80,000, is due to Technomarine providing inaccurate costs to the city. 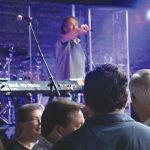 Shaffer said Technomarine submitted engineering for 40-foot-tall, 24-by-24-inch concrete piles, but, he said, no marine construction company in the area can set the specified piles. Shaffer said the largest pilings Hecker uses are 12-by-12-inch and 35 feet in length. The project also requires more piles than Technomarine specified because Hecker’s piles can’t support the same load. After hearing from Shaffer, CRA members agreed to authorize city attorney Ricinda Perry to send a letter to Technomarine representative Julianne Frank asking for compensation for missing materials, claiming the company is in default of its contract with the city. Perry said it would be reasonable to ask for compensation for rollers, which Technomarine failed to deliver to Hecker’s laydown yard in Gibsonton, but that asking for compensation for piles would be more complex. She said the city could argue Technomarine submitted a fraudulent bid since the company misrepresented the costs for pile-driving and the materials in the agreement with the city, and request compensation for the difference between the Technomarine contract and Hecker’s approved costs. Shaffer said he has finished inventorying all the materials for the dock, not including “nuts and bolts,” but would return to Gibsonton the same day and finish, so that he could detail whatever else Technomarine failed to provide.